Eastern tiger swallowtail (Papilio glaucus)(photo, left) --These are common butterflies in many habitats and feed on nectar mostly from the aster, dogbane and bean family plants. The females of this species sometimes may be either black and yellow or mostly black in color, a characteristic known as dimorphic. Late in the day these swallowtails are known to congregate and fly high into the canopies of trees. A local naturalist spotted hundreds of them doing this at nearby Pohick Bay Regional Park. 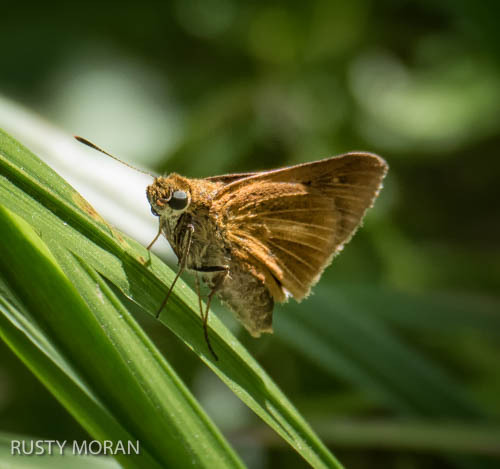 Dion skipper (Euphyes dion) -- This skipper is relatively uncommon and is a new record observation at Dyke Marsh. Their larvae feed on various sedges, buttonbush and pickerelweed, all plants found in abundance it the marsh. 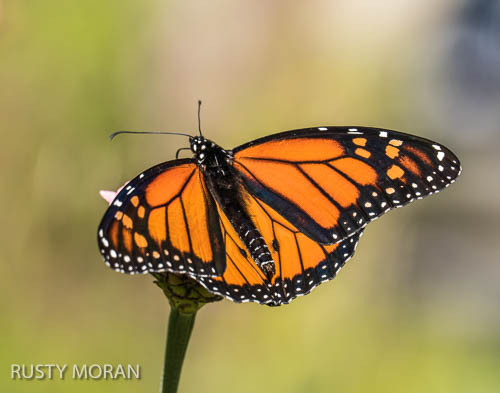 Monarch (Danaus plexippus) -- A butterfly that winters primarily in Mexico and has at least four to five well-travelled migration corridors in the U. S. and Canada. In the fall, migrating monarchs need nectar-providing plants for food, to fuel their migration. In the spring, the milkweed plant serves as food for maturing larvae. These butterflies are struggling now due to habitat and food loss, pesticides and climate change driven storms, in both wintering and breeding territories. “Scientists have documented a recent 90% drop from the 20-year average population that overwinters in Mexico,” reports NatureServe. 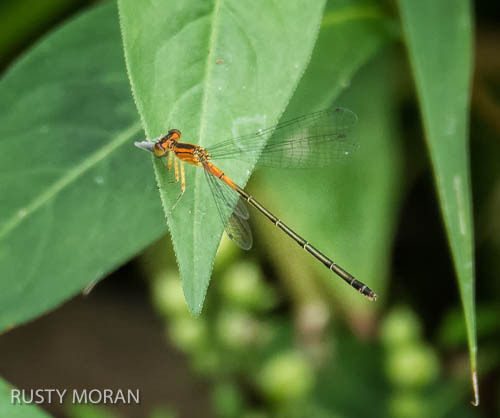 Ramburs forktail (Ischnura ramburi) -- A member of the damselfly family and named after a 19th century entomologist Jules Pere Rambur, this forktail is a new observation record for Dyke Marsh and has been seen several times there in the past two years. They need sunlight, slow- moving water and marsh habitat.